The UHSAA Board of Trustees has finished the realignment process for the 2019-20 and 2020-21 school years. In all sports and activities except football, East will be in Region VI in the 5A classification with: Brighton, Cottonwood, highland, Hillcrest, Murray, Olympus, and Skyline. (The Salt Lake School for Performing Arts will also compete in this region for activities.) Our football team will compete in 6A, Region III with: Bingham, Copper Hills, Herriman, Jordan, and Riverton. The UHSAA is also working on ways to seed State Tournaments differently in some sports. These changes could make things very interesting come tournament time. 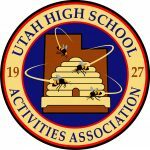 We appreciate the UHSAA for their hard work in completing the realignment process and examining ways to help move high school sports forward in Utah.